NDTV: For the first time ever, ISRO is planning to put an Indian astronaut in space, from Indian soil, for seven days, that too at a cost of less than Rs. 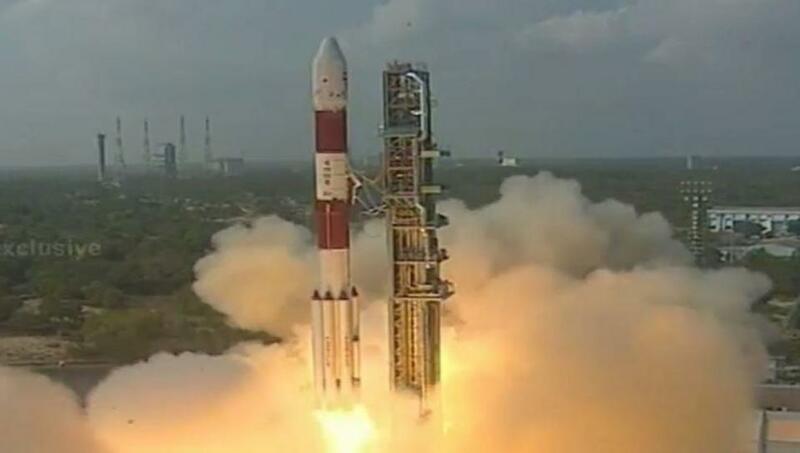 10,000 crore as part of its manned mission by 2022, ISRO Chairman K. Sivan said on Wednesday. With Prime Minister Narendra Modi giving the Indian Space Research Organisation the target to be achieved in the next four years, Mr Sivan told news agency IANS: “Our plan is to have a human being in space for seven days and not less than that.””He will be in a spacecraft, 300-400 km above earth,” Mr Sivan said, as he explained that the rocket to be used for the manned mission would be a Geosynchronous Satellite Launch Vehicle Mark III (GSLV-Mk III).He said the first unmanned flight as part of a manned space mission will happen two years from now.”There will be two unmanned space missions before the actual manned space mission,” Mr Sivan added. In his Independence Day address to the nation, PM Modi said: “In space technology, we have dreamt something; our scientists have dreamt something. And I am happy to announce that by 2022, the 75th Independence year, we are planning a manned space mission.””We will put an Indian in space (from Indian soil) by 2022 or earlier,” PM Modi said.Asked about the first animal flight before the actual manned mission, Mr Sivan said those things have to be discussed.Queried about the target date set by Narendra Modi and the steps to be taken by ISRO, Mr Sivan said: “We will have to get a formal approval for the project. The manned mission project cost will be less than Rs. 10,000 crore.””We are in the process of developing some of the technologies and already have some. Our idea is to develop everything within India,” he added. The space agency on July 5 carried out a successful maiden pad abort test at its spaceport Sriharikota in Andhra Pradesh for the safe escape of the crew in an emergency.”The technology is very essential for our manned missions in the future,” Mr Sivan had said at an event on July 7. The critical technology is designed to quickly pull the crew module along with the astronauts to a safe distance from the launch vehicle in the event of a launch abort. “We are in the process of developing the life support system for the astronaut, space suit and other things. ISRO is doing this with the support of industries,” Mr Sivan had said. The ISRO Chairman had then said that the space agency was “not close” to a human spaceflight yet. According to him, the selection of astronaut to fly the spacecraft would be done by the Indian Air Force (IAF) and the spaceflight training would be given overseas. K. Sivan said ISRO has to set up necessary infrastructural facilities like the control centres for the proposed manned mission. He said PM Modi’s announcement was a big kickstart and as a whole the nation”s science and technology sector would benefit. So far, only the US, Russia and China have launched human space flights.